Today I've started looking into Java and Android development. I want to focus on learning the basics of Android programming through Java first, but I also want to improve my overall Java programming skills. So today I downloaded the Android SDK and I hope to try out some online tutorials. If necessary, later I may get a book on the subject as well. Once I get basic Android programming using Java down, I'll move on to the NDK and Android programming using C++. I've already built a simple tile based 2D graphics system for Windows, I'd like to port it over to Android. That's my long term goal. 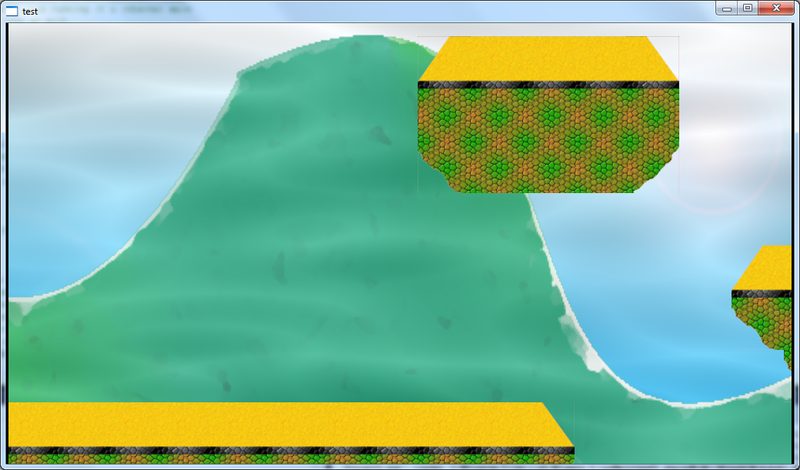 Here's a screen shot of the Windows version of the 2D graphics engine. Don't criticize my art skills too much. I'm a programmer, not an artist. I'll provide updates on my progress. This is just a small side project that I'll be working on until things pick up again with Auxnet: Battlegrounds so I can't make any promises about how fast I'll be able to get it done.